From sagging cheeks to difficulty eating, when you’re missing teeth, it’s not just your looks that are affected. At Weishaar & Weber Dentistry, one of the highly trained dentists can fit you for dentures, finally restoring your smile. If you live near Spokane Valley, Washington, and are ready to talk to a dentist about complete or partial dentures, don’t wait. Call the office today to schedule your appointment or book online. Dentures are a removable dental appliance that acts as a replacement for missing teeth. They’re customized and designed to resemble your natural teeth. If all your teeth are missing, your dentist recommends complete dentures. A complete denture replaces all the teeth on both the upper and lower jaw. If you still have some of your natural teeth and they’re healthy and supportive, your dentist may suggest a partial denture. This type of denture fills the gaps where your teeth were and keeps your remaining teeth in their original positions. Anyone who’s missing teeth can benefit from dentures. Although dentures can make you feel more confident, filling gaps and improving the look of your smile, they provide other benefits as well. Dentures fill out your cheeks and other facial features, keeping the muscles of your face strong and firm. When you wear them, you can speak more clearly and easily. They’re also good for your health, as dentures allow you to chew your food, improving digestion and nutrient absorption. Dentures are fragile, so treat them with care. Don’t twist or bend them. When you handle your dentures, lay down a towel on your sink or countertop in case you accidentally drop them. Even though you clean your dentures, you still need to maintain your oral hygiene. When you take your dentures out, clean your mouth and remaining teeth with a soft toothbrush. Use this same toothbrush or gauze to wipe your tongue, cheeks, and roof of your mouth. Your dentist also recommends regularly scheduled dental appointments. These appointments allow the dentist to check your oral health, provide preventive screenings, and ensure proper denture fit. While you’re at the office, the team professionally cleans your dentures and examines them for any issues. 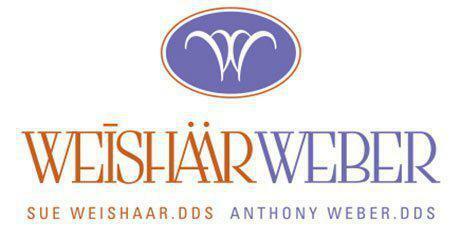 If you’re ready to fix your smile with either partial or complete dentures, call Weishaar & Weber Dentistry today or book an appointment online.